It can be difficult for parents to recognize if their children are not receiving enough sleep. As opposed to adults, children tend to become more hyper and active as the evening goes on—this is a sign of overtiredness. Other underlying psychiatric conditions, like attention deficit-hyperactivity- disorder (ADHD) can be connected to sleep loss in children. In addition, recent studies have shown that sleep apnea is fairly common in children, although it is more known as a sleeping disorder that is associated with adults. 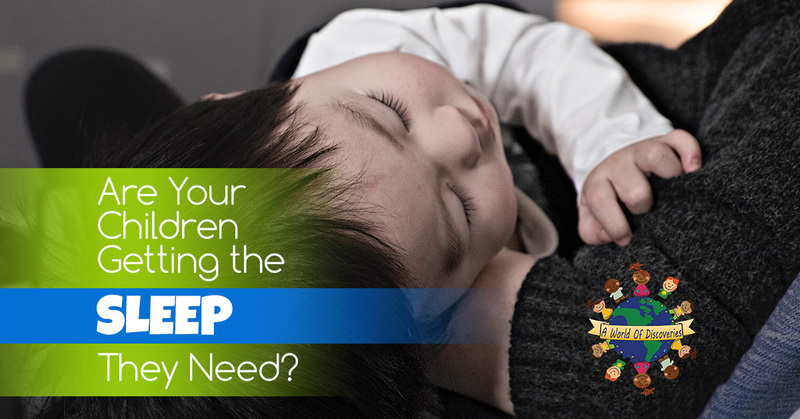 If you think that your child isn’t receiving the proper amount of sleep they need, it is important to speak with your pediatrician. If your child is sleep deprived, there is no need to panic. Simply changing the environment and habits surrounding bedtime can help children receive better sleep. If you are having trouble getting your child to fall asleep, check out the following tips! Create a bedtime routine. Getting your child into a nightly bedtime routine will help them develop a recognizing of subtle signs that bedtime is approaching. These routines can consist of many relaxing and sleep promoting activities. Turn off all screens. Computers, phones, televisions, video games, and other electronic devices should be turned off and removed at least 30 minutes to an hour before bedtime. Most electronic devices that children use keep them awake through both stimulating content as well as the bright light coming from the screen that imitates daylight and tells the brain to stay awake. Make sure they receive consistent exercise. When children engage in exercise during the day, they are more likely to calm down at night. It is important, however, to end exercise and play time three hours before bedtime, as it can cause them to become too excited to sleep. Create an ideal sleeping environment. Children’s rooms should promote sleeping when it comes to bedtime. Keeping their room dark, comfortable, and quiet can help them get a good nights sleep. If your child is experiencing difficulty sleeping, or you want to mute other household noises, try a noise machine or a fan to add a rhythmic and relaxing sound to your child’s sleeping environment. Avoid caffeine and meals before bed. It is important to make sure your child doesn’t have any caffeine or sugary drinks within three hours before bedtime. Pre-bedtime snacks are great as long as they’re healthy and small. Giving your child too many snacks or caffeine could give them a burst of energy, temporarily blocking their tiredness. At A World of Discoveries daycare, we understand that your children’s sleep is important. Our loving lead teachers and dedicated staff will ensure that your child receives quality sleep time and is engaging in daily activities and exercise to make sleeping at home much easier. To learn more about our high-quality daycare, contact us today!